We are looking for innovations in the field of parcel acceptance (first mile) and parcel delivery (last mile), alternative forms of delivery and alternative approaches to business and process implementation (eg self-propelled vehicles, crowdsourcing, etc.). We are looking for innovations in the field of smart and sustainable logistics with an emphasis on innovative logistic solutions that represent the introduction of artificial intelligence technologies into existing and potential new logistics and postal services, with the aim of speeding up, automating, reducing costs, improving user experience etc. 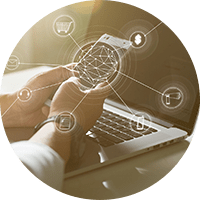 We are looking for innovations in the field of modern information solutions, which primarily relate to e-commerce and include new technologies (e.g. blockchain) and new business models, and are based on the principles of digital transformation. 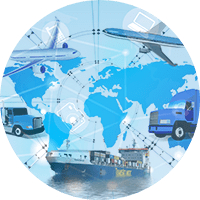 We provide access to domain knowledge in the field of logistics, delivery and information technologies, as well as the possibility of local and global networking with professional, educational, research and other stakeholders (e.g. postal operators, IT providers, universities, research institutions, etc.). 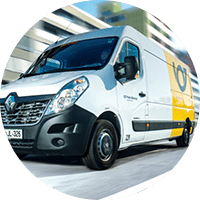 We offer the possibility to carry out development, research and innovation activities on a large physical infrastructure, which includes a fleet with various vehicles, logistics centers, a post office network in Slovenia, a daily personal presence at almost all Slovenian households, etc. We offer the possibility of using information infrastructure with the largest virtualized environment in Slovenia, modern data centers and various platforms … all for the needs of development, testing and implementation of digital solutions and services. We offer the possibility of gradual or phase financing of startups in the process of efficient, lean and agile innovation and development of solutions as well as the possibility of financial investment in innovative solutions with proven potential.